Keeping children safe on your playground is important. The last thing anyone wants to face is a lawsuit as a result of an injury sustained on their playground. Many playground installers do not follow important playground safety guidelines established by the National Playground Safety Institute (NPSI). As a result, the playgrounds are not installed correctly and serious or fatal injuries can and will occur. Far more common though is that we see old and dated equipment that was manufactured prior to the current guidelines. 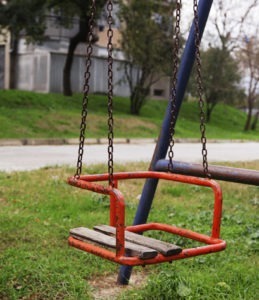 Older playground equipment although it may look safe, in many cases can be deadly for children. We utilize modern testing procedures and tools to make sure that your playground equipment passes the current safety requirements. Pro Playgrounds offers playground safety inspection and consulting services to make sure that your existing or proposed playground will meet or exceed all safety requirements, keeping your children safe and protecting your organization against litigation. Our comprehensive inspection services will literally examine every part of your playground, down to the last nut and bolt. We will provide you with a detailed report about any deficiencies and recommending actions to cure them.